Long emblem (SeaRay script). Short emblem (SR). There are 4 pieces in this buy it now. Boat part number 8302682 is a new pair of decals for use on Lund Boats, part number 1986277. Part Number: 1986277. 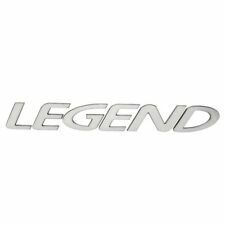 Boat Manufacturer: Lund Boats. We're your port for thousands of hard to find boat parts, original manufacturer's parts and marine surplus. 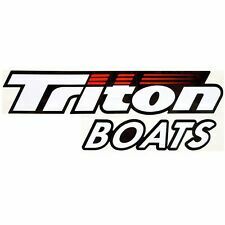 Boat part number 7107082 is a new decal from Triton boats, part number 1860644. Part Number: 1860644. This decal that reads "Triton Boats" is constructed out of black, white, and red colored vinyl with an adhesive backing. 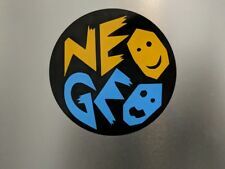 2 pack Arcade Round NEOGEO Neo GEO Gloss Yellow/Blue Vinyl Decal Sticker 4"x 4"
Carefully remove the translucent transfer tape from the decal at a 180 degree angle,making sure the vinyl decal adheres. Lay decal face down and on flat surface. Slowly remove backing paper at a 180 degree angle,make sure the decal is sticking to. 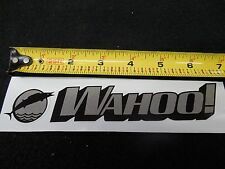 Qty 2 (1 pair) Brand New Wahoo Boat Decals Window Sticker 7" x 1 1/4"
This decal is laminated for years of outdoor use. Fully Gloss Laminated. Decal Type = Eco-solvent Printed. This decal is printed on high quality outdoor vinyl. This decal is fuel, oil and cleaner resistant. Manufacturer: Lowe Boats. The paper on the outside is dirty. but doesnt effect the decal. Material: Vinyl. Clean surface thoroughly. Remove the tape layer from the paper, when you pull it off make sure the vinyl is coming up and sticking to the tape layer. If it does not stick you can ruin the sticker. Replace your old worn out or missing ones that are curently on your boat. Each of the MasterCraft decals are 5" high and 55" long. We have many other sizes available. We only use premium 9 year marine grade vinyl. 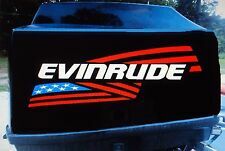 Marine Vinyl EVINRUDE decals 2- 15x 5 flag with 2--150 decals and 2 intruder decals. Our decals are MARINE VINYL NOT Ink-jet printed. Marine Vinyl - Does not need Lamination to make it water proof, UV resistant, and No Inkjet to fade. Replace your old worn out or missing ones that are curently on your boat. Each of the MasterCraft decals are 6" high and 55.6" long overall. We only use premium 9 year marine grade vinyl. 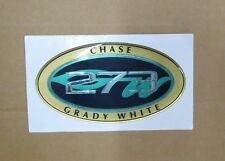 These decals will be in. 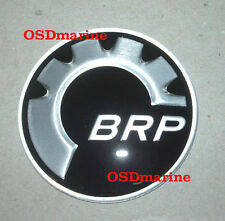 Boat part number 1054420 is a NEW, out of the box, OEM steering wheel decal from Carver Yachts, part number 8117404. Part Number: 8117404. CY Carver Yachts lettering on a white background. This is a flat decal sticker. STOP the MADDNESS - JUST GET MARINE VINYL. Marine Vinyl - Does not need Lamination to make it water proof, UV resistant, and No Inkjet to fade. Is it water proof?. Is the InkJet DYE going to Fade?. Replace your old worn out or missing ones that are currently on your boat. The MasterCraft decal is 5" high and 55" long. We have many other sizes available. We only use premium 9 year marine grade vinyl. This set 225 other horse power by request. Marine Vinyl - Does not need Lamination to make it water proof, UV resistant, and No Inkjet to fade. How long befor the Lamination peels?. Is it water proof?. This is Marine Vinyl. Marine Vinyl - does not need Lamination to make it water proof, UV resistant and no Ink-jet to fade. Wellcraft lettering & 2x1.5 W. STOP the MADDNESS - JUST GET MARINE VINYL. Marine Vinyl - Does not need Lamination to make it water proof, UV resistant, and No Inkjet to fade. Marine Vinyl EVINRUDE decals 2- 15x 5 flag with 2--150 decals and 2 e-tec decals. Our decals are MARINE VINYL NOT Ink-jet printed. Marine Vinyl - Does not need Lamination to make it water proof, UV resistant, and No Inkjet to fade. Marine Vinyl - Does not need Lamination to make it water proof, UV resistant, and No Inkjet to fade. STOP the MADDNESS - JUST GET MARINE VINYL. The InkJet printing is not going to fade. Is the InkJet DYE going to Fade?. Marine Vinyl - Does not need Lamination to make it water proof, UV resistant, and No Inkjet to fade. How long befor the Lamination peels?. Is it water proof?. Is the InkJet DYE going to Fade?. Boat part number 8302905 is a new set of main hull decals for Lund Boats, part number 2198111. Model and year are unavailable. Manufactured by Sharpline, part number 155409-01. Part Number: 2198111. Boat part number 8303069 is a new decal from Lund Boats, part number 1988056. Part Number: 1988056. Boat Manufacturer: Lund. We're your port for thousands of hard to find boat parts, original manufacturer's parts and marine surplus. STOP the MADDNESS - JUST GET MARINE VINYL. Marine Vinyl - Does not need Lamination to make it water proof, NO need for the weird back ground color, and No Inkjet to fade. Is it water proof?. Is the InkJet DYE going to Fade?. 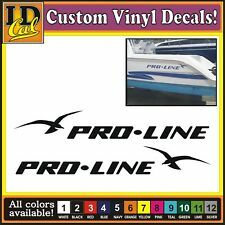 •Port & Starboard 40" Pro-Line Decals. AND MANUFACTURED IN THE UNITED STATES. It is black and white in color. It is new but does have a rip as shown. ( JW / LOC: 142 C / 9058704). Boat part 8202701 is a new decal for Four Winns Boats, part number 005-1164. Boat Manufacturer: Four Winns. We're your port for thousands of hard to find boat parts, original manufacturer's parts and marine surplus. Each is about 45 x 9.5 black and white with red sun - marine vinyl. STOP the MADDNESS - JUST GET MARINE VINYL. Marine Vinyl - Does not need Lamination to make it water proof, UV resistant, and No Inkjet to fade. The InkJet printing is not going to fade. The lamination is not going to peel. May be used on other applications. Part Number(s): 161970 / 161969. We're your port for thousands of hard to find boat parts, original manufacturer's parts and marine surplus. Check out this deal! Manufactured by Sharpline, part number 147345-01. Boat Manufacturer: Larson Boats. We're your port for thousands of hard to find boat parts, original manufacturer's parts and marine surplus. Check out this deal! Part Number: 561564. Boat Manufacturer: Bayliner. Model: Rendezvous. We're your port for thousands of hard to find boat parts, original manufacturer's parts and marine surplus. Check out this deal! Marine Vinyl - does not need Lamination to make it water proof, UV resistant and no Ink-jet to fade. Our decals are MARINE VINYL NOT Ink-jet printed. Marine Vinyl - Does not need Lamination to make it water proof, UV resistant, and No Inkjet to fade. Boat part number 8302899 is a new set of main hull decals for Lund Boats, part number 2198115. Model and year are unavailable. 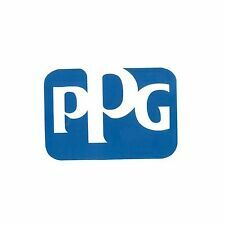 Manufactured by Sharpline, part number 155414-01. Part Number: 2198115.